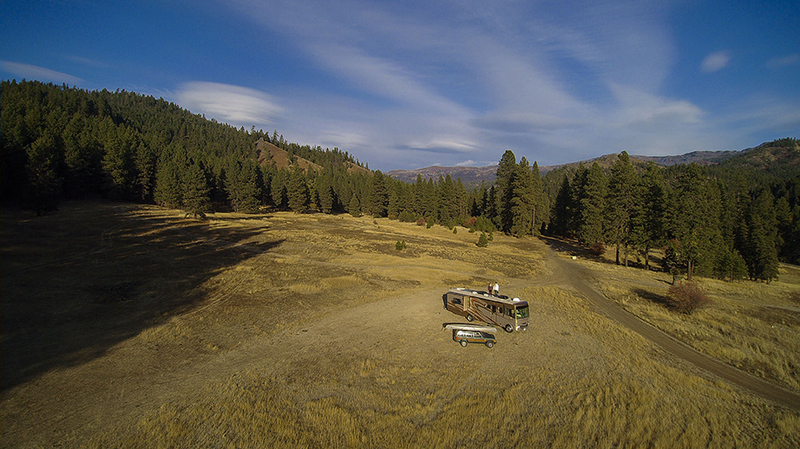 When Brendan and I initially had the idea to move into an RV and travel full-time, we saw our RV as a means to an end. 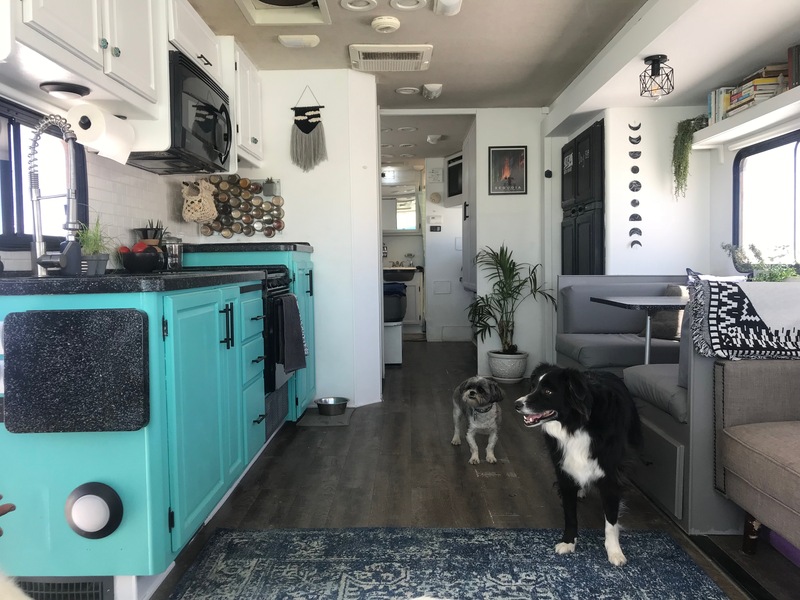 We wanted to bring our home and pets along on our journey, so we figured we could suffer through living in a tiny space in exchange for the adventure of a lifetime. However, we soon discovered that we actually love tiny living. This is mostly because we took great care to truly make our RV our home. 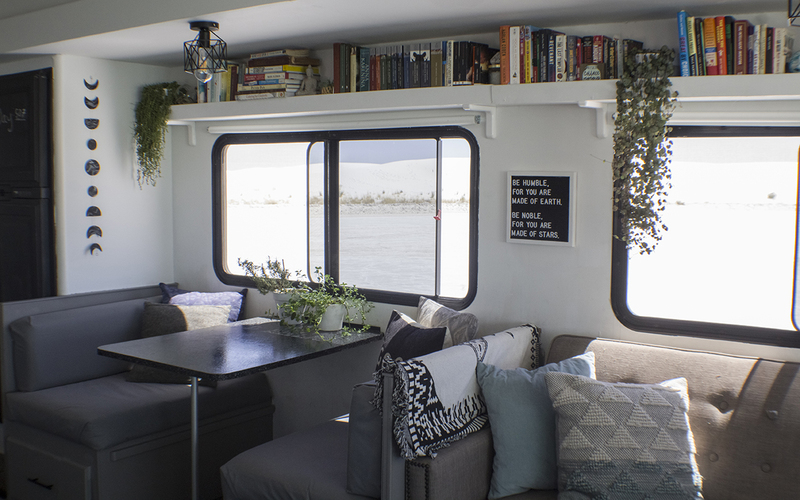 The following tips can help you to organize and decorate your RV to create the ultimate homey vibes inside your home-on-wheels. I know this may sound obvious, but your RV will not feel like home if you do not treat it the same as your sticks and bricks house. This means you should keep doing whatever you liked to do in your house or apartment before you hit the road. If you liked to watch TV and play board games where you used to live, you should continue to do them in your RV. If you enjoyed reading books and lighting candles, be sure to pack both for relaxing trips. Some people seem to believe it is not possible to live in an RV the same way you would live in a house, but I beg to differ. You can keep the same lifestyle with the right amount of dedication and effort. Decorations, cleanliness and organization all make a big difference. This is a big step! Decorating one of the most important things we did to make our RV feel more like home. We completely renovated our rig to get rid of the outdated, generic feeling it had when we first bought it. We painted the walls and cabinets; installed laminate and faux-hardwood flooring; recovered the countertops; and swapped out the old light fixtures and faucets. If you aren’t ready for a complete overhaul, simple decorations can go a long way. We like throw pillows, blankets, fresh bedding, area rugs and wall hangings. Cleanliness is very important. Although an RV is smaller than a house and it takes less time to clean, you must clean it more often because all the mess is contained in the same tiny space. With two adults and three dogs, our floor gets very dusty, and I often sweep and mop one to two times per day. Keeping the RV free of unnecessary clutter is also important. Because the space is so small, two or three misplaced items can make it feel very untidy. For example, don’t leave dirty laundry on the floor or dirty dishes in the sink. 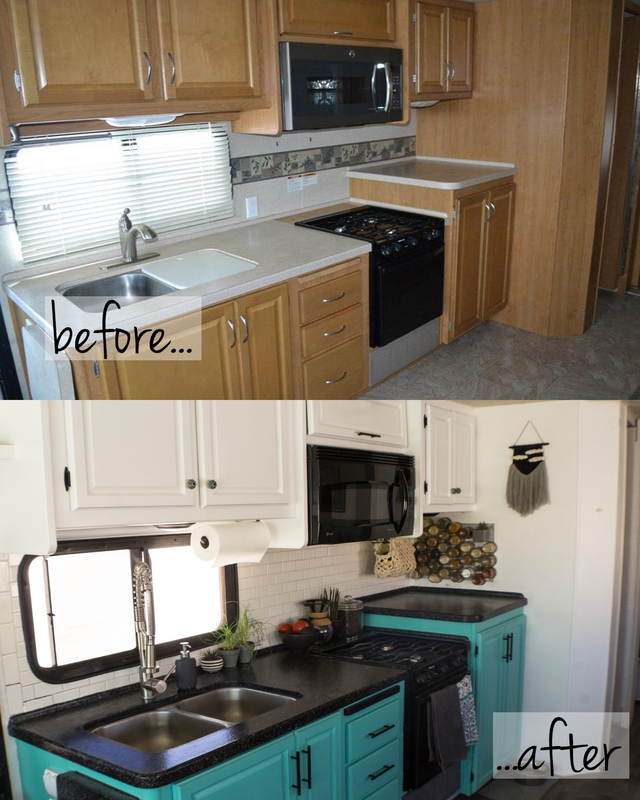 If you kept your previous home neat and clutter-free, do the same in your RV. It makes a huge difference. Organization in an RV is crucial. Having a small space means you have fewer places to put your things. Shoving everything into random cabinets is just not going to cut it. Our biggest problem areas are in the kitchen (we have so many gadgets) and in the bathroom (I have a lot of skincare products). It was important to bring these things along with, so we found sensible ways to organize them. Simple things like baskets for small toiletries and jars for kitchen dry goods have made a world of difference. I also love to use my label maker to remember what is in my boxes and bins. Keep in mind that your things will move and shift while you are driving, so you might need to reorganize every once in a while. You can also place baskets and containers in your cabinets to help hold everything in place while you’re driving. This tip may sound silly, but plants were one of our favorite decorations in our sticks and bricks house. In order to make the RV feel like home, we brought many of our green friends along with us. To keep them safe while in motion, we pack them into boxes or sinks. We have only had a couple of casualties so far. Bringing the greenery in our RV really solidified it as our home. If you lack the green thumb, fake plants are also always an option! Living in our home on wheels is one of our favorite parts of our continuing adventures. Traveling, working and living somewhere that truly feels like home is one of the most important parts of life on the road. 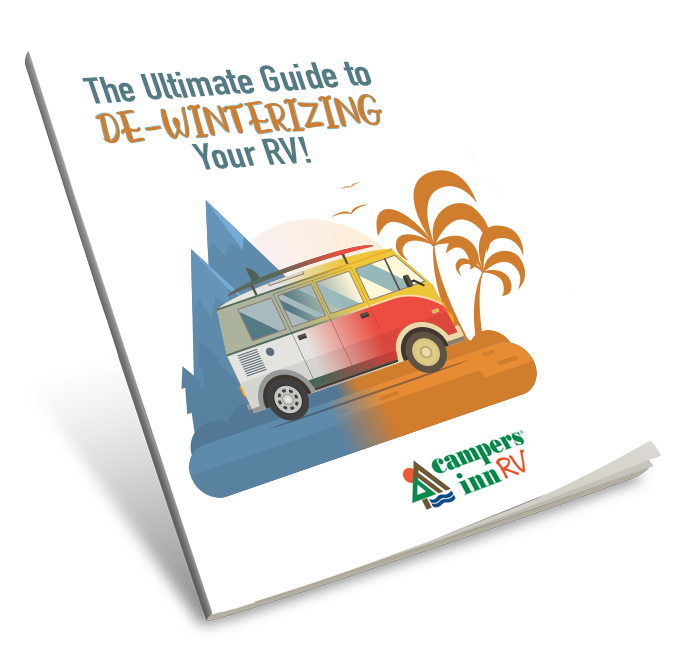 If your RV does not feel like home, you may grow tired of your journey prematurely. We have now been full-time traveling for two years, and there is no end in sight. Most of this can be attributed to our comfort and contentment in our motorhome. With some determination and a bit of work, you can make your RV a warm and friendly place that you will look forward to returning to after each and every adventure. 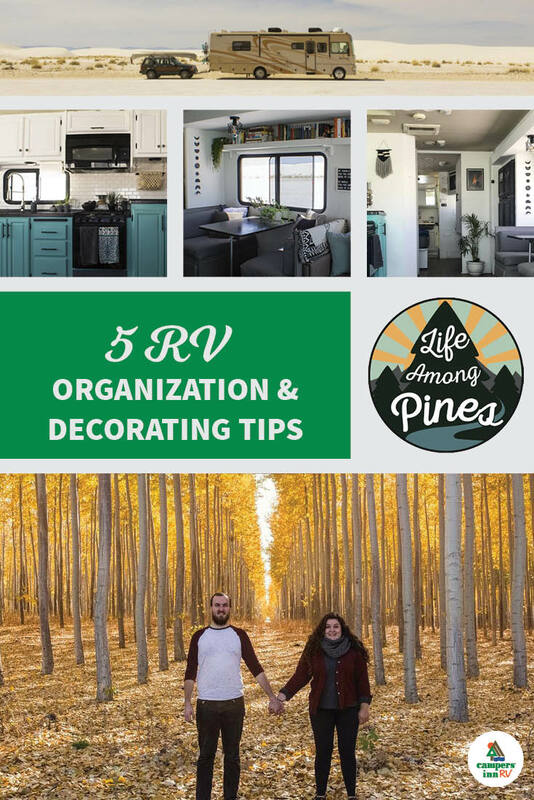 Looking for more RV organization tips? Download our free infographic!